Starting in early December there is a build up to Christmas in Gold Coast. Locals and visitors find the information in this section useful whether visiting over Christmas or during the lead up to the holiday season. You will find information for a selection of the many activities, shows, entertainment and dining options in and around Christmas Day. Read on, to find out more about the different activities and events on during this time, or use the Options Menu to skip to the event you are interested in. 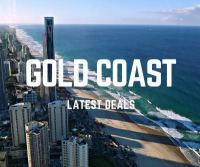 Are you planning your holiday to the Gold Coast? Want to make sure you don't miss anything? Click Here to find out about my planning cheat sheets, tips & tools to step you through! For visitors to Gold Coast who may not celebrate Christmas, here are suggestions of things to do on Christmas Day and some extra tips about planning ahead. As it gets closer to Christmas and New Year there will be more information about the general celebrations. If you are looking to book a Christmas Lunch, Dinner or Christmas Entertainment I highly recommend booking in early. You know Christmas is coming by early December on the Gold Coast because there are festive decorations in many of the shopping centres and local communities. Special Christmas shows and turkey on the menu also help to bring the Christmas feel to the area. Christmas Eve is usually a half day for office workers, but the shops stay open for that last minute shopping until the evening. Roads are busy as people head out on holidays or home to family. On Christmas Day you will generally find only the bare essential convenience shops open. Starting later in the morning, the roads get a little busier as local families head out to the beach, bbq, family get togethers or restaurants for Christmas Lunch and Dinner. Australian families celebrate christmas (chrissy, xmas) with family on Christmas Day, some European families have their family dinners and gift giving on Christmas Eve. Often it is too hot to cook the traditional northern hemisphere fare of Roast Turkey with all the trimmings and Christmas pudding. Many Australian families eat seafood including prawns and have cold ice cream christmas puddings. Restaurants cater for the different tastes, and it is easier to eat roast turkey in airconditioning if you haven't had to slave over a hot stove to create it! Traditionally in Australia, Boxing Day means Boxing Day Cricket Match, start of the Sydney to Hobart Yacht Race (on the TV) and of course the Boxing Day Sales for shopaholics! Christmas in Australia also heralds the start of Australian Summer Holidays! Christmas Lights - a formal and informal competition to out do your neighbour with your decorating skills! Christmas Lunches and Dinners - selection of places that serve traditional and more modern Christmas lunches and dinners running up to and over the Christmas holidays. Christmas Shopping - hints and tips on Christmas shopping, crowds and opening times over the holidays. * Sometimes if Christmas and or Boxing Day fall on a weekend there are holidays in lieu or additional holidays. This changes each year. Check out the official holidays for Queensland. In 2018 the public holidays in Queensland fall as follows: Christmas Day is on Tuesday 25 December 2018. Boxing Day is on Wednesday 26 December 2018. There are no extra public holidays this year. In 2019 the public holidays in Queensland fall as follows: Christmas Day is on Wednesday 25 December 2019. Boxing Day is on Thursday 26 December 2019. There are no extra public holidays this year. Disclaimer: Whilst every care is taken to provide correct information, the information about activities, shows and events as part of Christmas on the Gold Coast shown on this and other pages within this website is a guide only. Dates are subject to change without notice. Please check with individual event organisers before planning your trip around these dates. Christmas is the same around the world! During the run up to Christmas in Gold Coast there are many activities and special shows as well as variations on existing shows and activities on the Gold Coast. Information for current year. often doesn't become available until quite close to Christmas, but the information from the prevous year can give you a fair idea. Here are a selection of shows and entertainment themed around Christmas in the Gold Coast. White Christmas at MovieWorld runs on selected nights in December at Movie World on the Gold Coast - see dates below. Since 2010 Warner Bros. Movie World on the Gold Coast celebrates Christmas northern hemisphere style! Creating a Christmas wonderland with family entertainment and snow over several magical nights in December. White Christmas at Movie World is amazing! Each year there is a huge display of fairy lights in Main Street, a parade, Looney Tunes Kwazy Christmas Live Show featuring all your favourite Looney Tunes Characters. Christmas carollers, 4-D Christmas Movie experience such as Polar Express (changes each year) and the big man himself - Santa! And, in true Movie World style, an evening Christmas Parade under a white snowy sky - yes you read that correctly - snow is forecast on the Gold Coast during White Christmas celebrations! 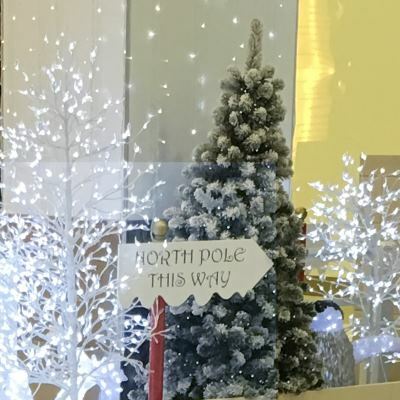 Wonder what this year will have in store - each year there are a few different things all designed to showcase Christmas fun. The last night of the event is usually the biggest and busiest, so book in early! Update: When White Christmas tickets become available, it is best to buy them early as they can sell out. The first year they ran it we missed out, so now we jump in early to book ours. What a great evening at MovieWorld. You will find details below when they are available including any special deals or combinations. Limited Tickets are available. 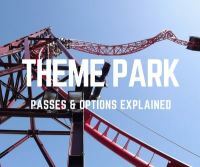 Usual Ticket Prices Approximately Adults $40 Children 3 to 13 years $25. Lots of extras available to enjoy on the night. Christmas in Paradise! What could be better? There are usually events and attractions centred around Cavill Mall, including a variety of entertainment for all the family. For example, see Santa's Surf boat sleigh pulled by six white kangaroos! Kids can post their letters to Santa in Santa's Postbox. Christmas lights and attractions, and there are usually photo opportunities with the main man himself. See below for details. Information for current year. often doesn't become available until quite close to Christmas, but the information from the prevous year can give you a fair idea. Christmas at the Cove! Centred around The Marine Village at Sanctuary Cove, there is usally a program of free family activities running every day for just over a week (see dates for current year below). Marine Village is awesome any time of the year, with great shops to browse and lots of places to eat and of course check out all those lovely boats! For the Christmas Carnival, there are usually daily activities program including pony rides, village train rides, jumping castle, face painting, petting zoo, roving entertainers and a photo opportunity with Santa. Some of the activities occur at set times only, so you will need to check for details. For the last few years Mummy Tree Markets have kicked off on the first Saturday with great options for crafty Christmas gifts, and there is usually an opportunity to enjoy an open-air movie under the stars. It's a great atmosphere and would be different style of Christmas to the hubbub of Surfers Paradise. You will need to use your own transport to get there, it isn't easily accessible by public transport - possible but not easy! Although this is a family friendly event, all those under 18 years must be accompanied by an adult. Mummy Tree Markets on Saturday 8 December 2018 from 9am to 1pm at Masthead Way location. Carols on the Beach are a bit of a Gold Coast institution. Great for visitors and locals, this is usually on the Sunday before Christmas and runs from 6.30pm through to 8pm. You should be able to find it easily! Go where the hubbub is! If you are on Cavill Mall, when you get to the beachfront turn right and head towards Hanlan Street - if you don't know where that is look for Q1 and you won't be too far off! Each year there are a range of guest appearances and fireworks to end the night. Get in early for a good spot and bring a picnic rug or beach mat. Carols on the Beach 2017: Sunday 17 December 2017. 6.30pm to 8pm. Surfers Paradise Beach at the end of Hanlan Street. Christmas On Gold Coast Includes Santa & North Pole! During December many community groups hold Christmas Carol Concerts to celebrate traditional songs and activities. In this section you will find a selection of these christmas carol concerts and events listed with their dates. Local radio and TV stations get involved with some of the larger events includ big name celebrities. Many of these Christmas in Gold Coast events are outdoors, if it is raining or bad weather please check with individual event organisers to see if the event is still running or if it has been moved. PLEASE NOTE: Each year I research and update the information once, usually around mid-November. However, I can only provide the information available at that time! I used to put them in date order, but that would take even more time! So now, they are ordered approximately by date, and size, with the smaller events appear towards the bottom. The annual Gold Coast Mayor's Christmas Concert & Carols are held in Southport at the Broadwater Parklands (opposite Australia Fair). Officially the main show starts around 5pm, but you will find plenty to keep the kids interested from around 2pm there are usually roaming Christmas characters and other Christmas related activities. The main carols start around 5.00pm and fireworks to finish about 9pm. Expect to be entertained by national and local talent. There will be a visit from Santa! All proceeds to a local charity. This is a great place to take a picnic and rug and settle in for a night of great entertainment for the family. Gold Coast Mayor's Christmas Carols on Saturday 2 December 2017 from 5pm to 9pm. Main Stage, Broadwater Parklands, Southport. Studio Village Community Carols in the Movie World car park, are an annual institution! Since it is in the Movie World car park in the grassed area. .
Entertainment usually provided by Warner Brothers such as the Santa Bugs, there are traditional carols and of course a visit from Santa. Glow sticks, food and drinks. Carols from 6pm to 8.30pm. This is a huge event presented by Broadbeach Alliance and supported by local businesses with funds raised for a local charity. Fabulous free entertainment including petting zoo, face painting, jumping castle and other activities, plus the awesome Christmas fireworks display for finish off. Expect to see Santa and his Elves, headline artist and a range of other entertainers. This is a massive event and usually Old Burleigh Road closes between Albert and Charles Avenues till after the event. Annual Christmas event since 1999, usually with local TV or radio personalities, this carols by candelight is a family affair with a no alcohol policy. Bring a rug and settle in for a night of entertainment from a range of local and national entertainers. Pre-entertainment from 6pm including jumping castle, face painting, glow sticks, food and drinks. Concert from 7pm to 9pm. Santa visits and the evening finishes with fireworks around 9pm. This is a community Christmas event in support of The Smith Family and their Learning For Life program. Colgate Parmolive Carols By Candelight at Colgate Palmolive Park in Allied Drive, Arundel, on a Sunday usually from 6pm to 9pm. I love this one, it's such a laid back affair, but really cool to be amongst the boats! Usually from around 4pm there is a roving choir and the Waterfront restaurant opens at 4pm. Santa arrives around 5.30pm. Entertainment, boat procession, prizes for Best Dressed Boat in the vessel parade, carols and a visit from Santa. Raising Funds for Salvation Army. Southport Yacht Club Presents Christmas Carols On The Broadwater at Southport Yacht Club, 1 Macarthur Parade, Main Beach. Saturday 16 December 2017 from 4pm to 7.30pm. Santa arrives 5.30pm. Book in for dinner at Waterfront Restaurant, or bring a chair and sit on the beach to enjoy! Enjoy a relaxing night of carols and entertainment on the beach at Surfers Paradise with lots of Aussie entertainment. A great way to spend a Sunday evening just before Christmas to get into the spirit of the season. Bring your picnic rug and chill out. Fireworks at the end. Carols On The Beach at Surfers Paradise - Saturday 23 December 2017 6.30pm to 8pm. Christmas on Tedder has been developing as an annual event over a few years. It is located on Tedder Avenue, Main Beach. Tedder Avenue is a great boutique strip of shops and restaurants. The local community presents an event with music, entertainment, wine and food befitting of this iconic location. Carols by Candlelight from 6pm followed by a rocking street party from around 8pm that wraps up around 11pm. National and local artists and the street party rocks till late. Wouldn't be surprised if you see Santa and his elves. I love Tedder Ave and they know how to party in a nice way - it's an alcohol-free event, so definitely family friendly. They closed the streets from about 2pm, so expect this to be a busy and awesome night. Carols in the Park at Upper Coomera at John Siganto Park, Gawler Place, Upper Coomera. This event is hosted by the Rotary Club of Coomera Valley with proceeds from the annual raffle going to local community projects. The event usually kicks off around 5pm and finishes around 9pm. Sausage Sizzle, drinks, traditional carols, Santa and other musical entertainment. Carols in the Park in Siganto Park Upper Coomera is on Saturday 2 December 2017 from 5pm. Another great community event, run by the local Lions Club at Tamborine Village (at the bottom of the mountain). Tamborine Village Lions Club Carols in the Village are held at Tamborine Mermorial Hall on Tamborine-Waterford Rd, usually from 5pm to 9pm on 2nd Friday of December. It's held in conjunction with the Twilight Markets, so you can pick up some special Christmas gifts. Gold Coin donation. Bring your picnic rug or chair. Santa will visit. Christmas in Central Park Pacific Pine is another event put on by local community. Central Park is at Hotham Drive & Pacific Pines Boulevard, Pacific Pines. Entertainment and carols from 4.00pm to 8.00pm, plus entertainment and kids activities, prizes, a visit from Santa and fireworks. Bring a rug or chairs and enjoy a family friendly night of entertainment and fun. Christmas in Central Park, Pacific Pines on Saturday 9 December 2017 4pm to 8.00pm Fireworks to finish. This is growing to be a very large event with up to 15,000 visitors! Hosted by local Highway Church, the show is always fantastic. Lots of great entertainment, food stalls and free rides for the kids. Carols start a little later and there's a visit from Santa and fireworks to finish off! Ormeau Carols, at Brien Harris Oval, Peachey Road/ Orange Mountain Road at Ormeau on Sunday 10 December 2017. Food and Rides from 4pm Carols from 7pm. Ends around 9pm Please note drug and alcohol free event. This is an annual family based tradition held at Bischof Pioneer Park in Nerang Street. Usually starts around 3pm and runs through to about 8.30pm, but check for specific details. There's rides, sausage sizzle, drinks, Santa and lots of family and kids entertainment all afternoon. Carols usually start around 6.00pm. Fireworks finale around 8.30pm. Nerang Celebrates Christmas on Saturday 16 December 2017. Community carols at Coolangatta beach opposite Showcase on the Beach. Enjoy entertainment and carols, bring a rug and picnic and enjoy! Market stalls and fireworks to finish. This event usually runs from around 4pm (check below for current year details) at the Palm Beach Parklands, on Gold Coast Highway at Palm Beach. Make an afternoon of it, with plenty to do for the kids with a super playground and the fabulous street food stalls. Plenty of family fun, carols, live entertainment, face painting and other activities for the kids. Plus a visit from Santa. Don't forget your picnic rug! Gold Coin donation. Bring your own, or enjoy some food or treats (sausage sizzle, snow cones and fairy floss!) and drinks from the stalls or Dune Café at Palm Beach Parklands. Limited parking at the parklands, sometimes they have a park and ride from Currumbin RSL. If raining it will be cancelled but check on the day. Local community event usually starts around 5.30pm for sausage sizzle, with carols from 6.30pm. Bring your torches and glow sticks for these carols by candlelight and fireworks around 8pm. IMPORTANT: If it is raining or bad weather please check with individual event organisers to see if the event is still running or if it has been moved. Christmas lights are fast becoming a tradition in suburban Australia! From mid November onwards it is easy to spot who likes to keep up with the Joneses next door! In the Gold Coast there is a competition held each year and it's just getting bigger and bigger. After the announcment of winners, there are usually bus tours that operate in the evenings for about a week. They leave from The Arts Centre leaving around 7pm for about 3 hours. If you just want to check out the lights or are in town before the winners are announced, there are certain suburbs that seem to be very competitive! Try Ashmore, Arundel, Burleigh Waters, Carrara, Elanora, Helensvale, Ormeau, Oxenford, Pacific Pines (very competitive! ), Robina, Upper Coomera, Varsity Lakes and Worongary. If you want to drive yourself (be prepared for traffic jams in the really competitive streets! ), I have compiled a list of hotspots for the Christmas lights displays. Many people attend Christmas parties or Christmas lunches or dinners in the run up to Christmas Day. However, this section is dedicated to eating out on Christmas Day in the Gold Coast. Christmas Lunches on the Gold Coast - a very extensive page with plenty of options to choose from, plus some special lists that make it easier to find the kinds of Christmas lunches you are looking for. There tend to be more options for lunches rather than dinners on Christmas day, they are popular, do book out and are generally a little more expensive than their dinner counterparts. Christmas Dinners on the Gold Coast - there aren't quite as many options for Christmas dinners as there are for lunches, but there are still a good selection to choose from for your Christmas night meal. Don't forget to book early as they will book out. There are two main parts to shopping at Christmas in Gold Coast one is shopping for Christmas presents and the other is what shops will be open on Christmas day. If you are visiting from overseas or interstate, you may be surprised by the lack of shops open on Christmas Day. Queensland has really strict retail laws which means that all the main supermarkets and chain stores are closed on Christmas day. You may find the local bakery open, but you will not find Coles, Woolworths or Aldi open and the local 7 Eleven or the 24 Seven may be open. If you are planning on cooking for yourself in an apartment whilst staying over the Christmas period, make sure you plan your food and essentials shopping around the Christmas Shopping hours. Don't expect the shops to be open on Christmas Day! All the Gold Coast Shopping centres are very busy in the run up to Christmas and many have extended shopping hours in the week running up to Christmas, however they will be closed on Christmas Day but open for the sales on Boxing Day! If you can hold out and like bargains.... Boxing Day shopping is certainly an experience! 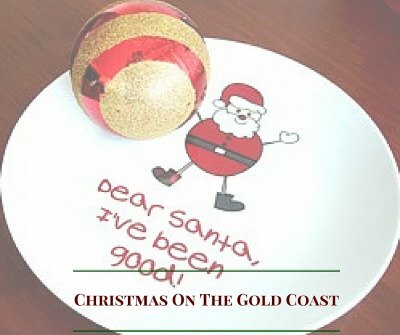 Here's something to whet your whistle to get into the Christmas spirit Gold Coast style. This video is from the Looney Tunes Characters Christmas extravaganza at Movie World. Please note, that whilst all care is taken to ensure the details are correct about Christmas in Gold Coast, things change. So please double check with the venues to ensure you are not disappointed or miss out on booking. Christmas in Australia - Traditional and the Aussie Way! Christmas in Australia has some similarities and some differences from other parts of the world. Although a Christian celebration, the commercialisation of Christmas in Australia is often shown with reindeer and the man in the big red suit. Santa, St Nick, Father Christmas, you know the one I am talking about! In Australia, Santa may wear shorts because of the heat, andd you are likely to hear the song Six White Boomers and see kanagroos pulling Santa's sleigh! Christmas cards may have outback Australia scenes with farm animals and men wearing Akubra hats with corks dangling from it to keep the flies away! Most families celebrate Christmas together, or at least try to. Because Christmas is our summer holiday time, many families will travel to be together or go away together on holiday at this time. Christmas Eve depending upon when it falls during the week, can be exceptionally busy for travellers. If Christmas Eve falls on a Saturday or Sunday, then the Friday will also be unusually busy for travel. On the roads drivers should take extra care when travelling whether a short or long distance. If you are planning on travelling at this time, it is advisable to book rail, bus or flights well in advance and to secure your accommodation before travelling. In 1989 I spent my first Christmas in Australia, you can read about my best Christmas vacation in Australia.